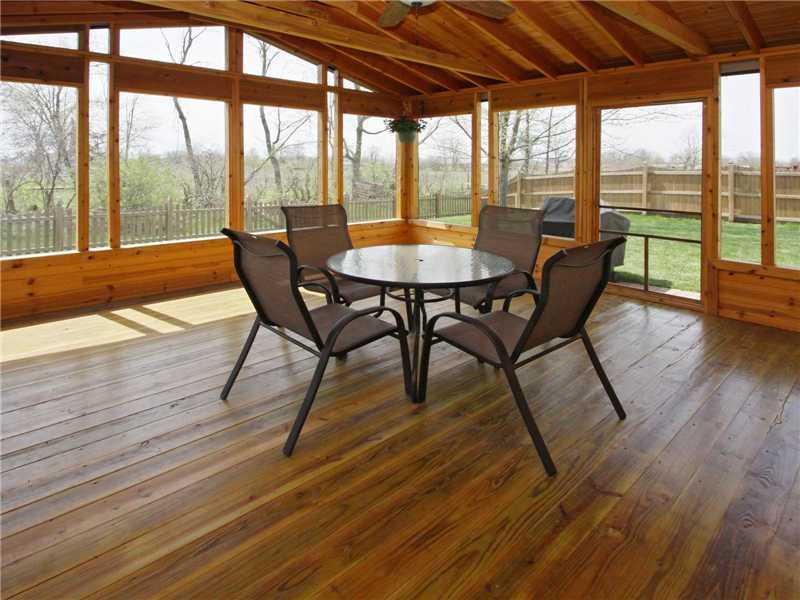 This porch sold this house with multiple offers! Porch’s used to be pretty much a standard feature on all homes back before there were air conditioners. So many older homes built before the 1940’s include what was really considered the ‘outdoor room’ for sitting or even sleeping in on hot summer days. Usually covered to protect from rain but open on 3 sides to make sure and allow a breeze to flow thru, these were the gathering rooms for the family and often nearby neighbors to share the latest gossip and local news. After WW II the mass of homes built for returning vets often left off the larger porches to cut costs. In later years air-conditioning became a more standard item on new homes and porches became more of a luxury item as they really weren’t needed to deal with summer heat. But now there is a new trend back to making a porch area more of an ‘outdoor room’ again. With all the high end outdoor furniture you see today in home improvement stores you really would feel like you’re are sitting inside with a porch furnished like that. Add to that the idea of having an ‘outdoor kitchen’ and now you can cook and eat without ever entering into the home. With so many people (myself included) loving to grill out, the whole idea of the cook ‘n eat area outside has become a very attractive item for home buyers. And with the ‘hustle & bustle’ of today’s lifestyles a nice porch is considered a retreat to go relax, read a book, or nap on a hammock. Let’s just say there are not many people who say they wouldn’t utilize a nice porch on their home. So if there were one item that I would say adds value AND is something you can enjoy until the time you decide to sell a porch or even just a nice patio area is the way to go. Other than normal maintenance most porches never ‘go out of style’ so it’s a safe bet that it’s going to add value when it’s time to sell your home. If you’re thinking of any updates to your home and want a REALTOR’s opinion, text or give us a call at 317-563-1110. The Derrick Team is here to help! This style of home comes from the basic need for shelter. National-style homes are less adorned than the European Victorian style homes. In early America, builders copied from Native American and tended to build these homes more for utilitarian needs. The style is typically utilizes rectangular shapes with side-gabled roofs or square layouts with pyramidal roofs. The gabled-front-and-wing style this home in Danville is in the subset of the National style known as “Massed” plan styles, recognized by a layout more than one room deep, often sport side gables and shed-roofed porches. National style homes have been around since the pre-railroad days but the style is still used as the basis for new custom built homes and can be found all over the country. 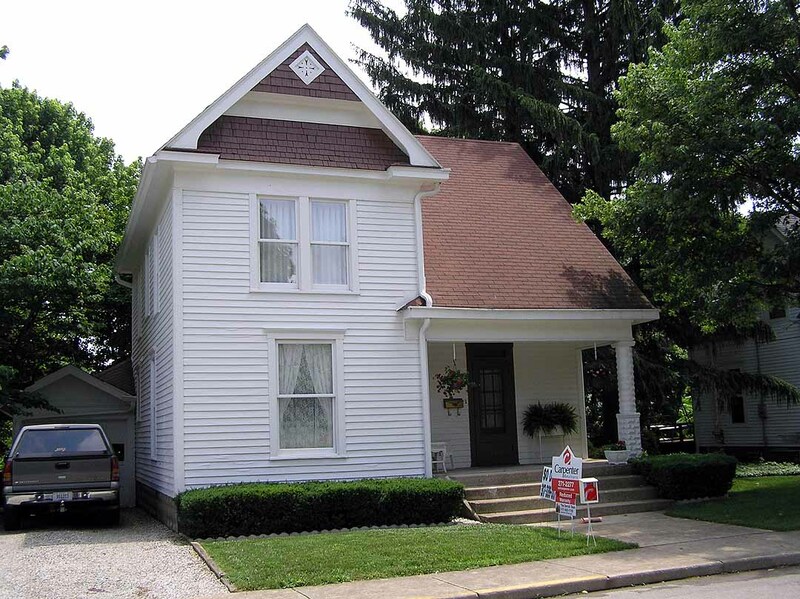 As history buffs we love to help sellers with older historic homes. But then we love to help everyone sell their home, no matter which century it was built. Call or text The Derrick Team today at 317-563-1110 with any of your real estate needs. French Provincial or more commonly referred to as French Country style homes come from a style of French countryside homes originating in the 1600’s. Balance and symmetry are the ruling characteristics of this formal style. Originally the homes were often brick with detailing in copper or slate but today more modern roofing materials are used and copper will only be a minor detail if used at all. Windows and chimneys are symmetrical and perfectly balanced, at least in original versions of the style but with modern homes the balance gives way to interior layouts and attached garages. Defining features often include a steep, high, hip roof; balcony and porch balustrades; rectangle doors set in arched openings; and double French windows with shutters but again modern versions usually have only some of these features. The truer French Provincial homes will be older homes built in America after the world wars in 1920’s & 1960s by returning soldiers. Now elements of the style are used in expensive custom homes as a way to stand out from more common modern building styles. Whether fancy or traditional american style, we love to help everyone sell their home, no matter which century it was built. Call or text The Derrick Team today at 317-563-1110 with any of your real estate needs.